Jack's service is convenient, but the cost of these is very high due to the shipping. These could have been sent USPS for a couple dollars and I was charged over $13 for S&H. So, $13 S&H for $3 worth of parts. I held my nose and ordered because I am traveling a lot and did not have time to shop around or go to the local dealer. 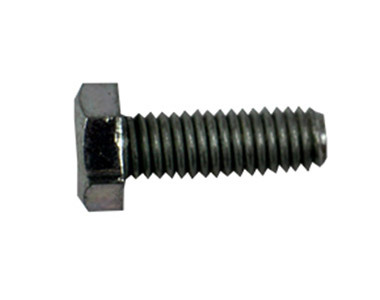 They are bolts only with no nuts, which can be easily bought at a local hardware. I ordered a slew of these because they shear so easily even a small chunk of ice will shear them. I've use a lot of snow blowers and this Honda is the only one that I have had to replace shear pins/bolts every time I use it. I'm working side by side with my neighbor who has the $600 HomeDepot special and his machine goes right through the same stuff without fail, the Honda shear pins fail every time. If I had known the Honda drive train was such a Prima Donna I would have saved myself $2000 and bought the MTD. Ask us about the Honda Bolt (HSS724, HSS928, HSS1332). Please no repair questions. Your Q&A may be posted to SnowblowersAtJacks.com to help other shoppers, like you, with their purchasing decisions. Thank you.